60 Great Tasting Chewable Tablets. All Natural. American BioSciences. New & Improved. Supports Mobility & Flexibility. Do not let your pet struggle anymore. DGP, an all natural formula, works quickly and more completely than most other natural products, without the negative side effects of most prescription medications. DGP: Supports mobility and flexibility. Is FAST ACTING. Is veterinarian recommended. Is all-natural and safe. No need to use harsh medications or to wait for glucosamine and chondroitin to work. Let DGP help your pet be the carefree and playful member of the family you know and love. 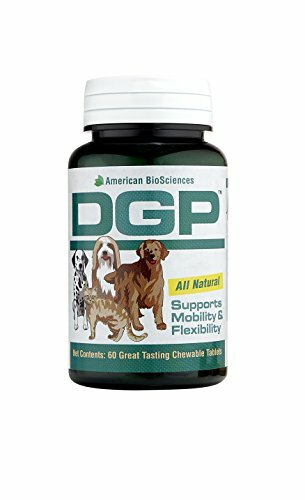 Join the thousands of pet owners and veterinarians that would not think of letting their four legged family member go a day without DGP. 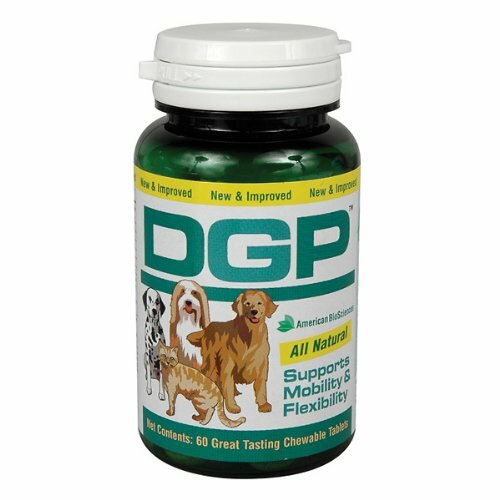 DGP is specifically formulated to help support a pet's joint mobility and flexibility. DGP may help ease aches and discomfort caused by daily exercise, activity and training. Developed by master herbalists and scientists in Australia, this unique blend of high quality ingredients helps support mobility, flexibility and ability to continue to live a healthy active life. DGP is highly effective because it contains the finest ingredients known to support mobility (some only available from the fertile soils of New South Wales in Australia). DGP contains a blend of European and Australian herbs and marine extract. 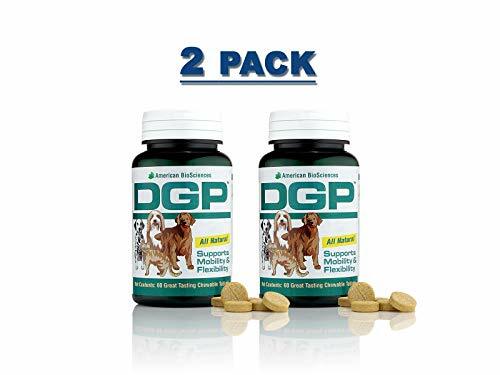 The high quality of each and every ingredient, as specified by the formulators, ensures the ultimate levels of ingredient actives and bioavailability so your pet readily and fully absorbs all the benefits DGP has to offer.